The third edition of the Ugo Rivolta European Housing Award has travelled to Berlin or, more precisely, to Prenzlauer Berg Zelterstraße 5-11 where a group of 45 people set up a cooperative to build this extraordinary housing project. 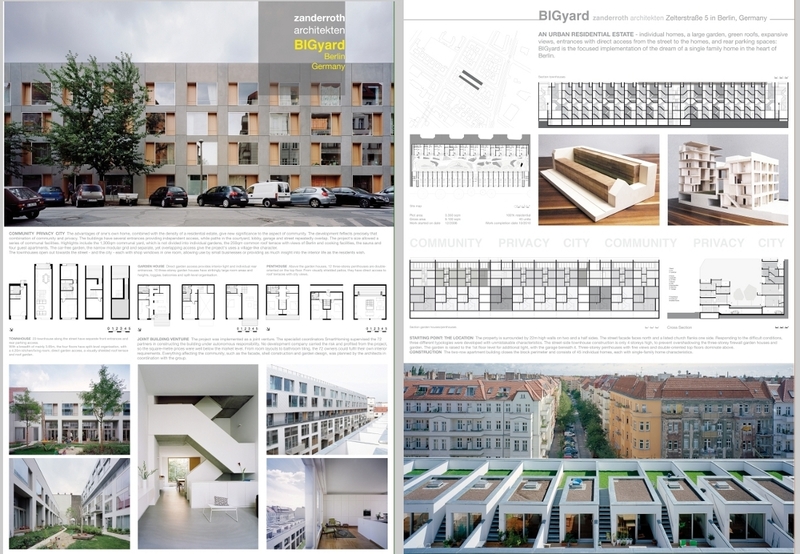 Zanderroth architekten (Sascha Zander, Christian Roth together with Kirka Fietzek, Diana Gunkel, Guido Neubeck, Konrad Scholz, Lutz Tinius and Herrburg Landschaftsarchitekten) designed a residential complex that the international jury ( Peter Kis chairman, Giulio Barazzetta, Peter Ebner, Giordana Ferri, Alessandro Maggioni + Stefano Guidarini and myself not voting) deemed to be the best one among 51 projects from 11 European countries. Reasons for this were the original and innovative solution to build on such a complex one-sided plot at such a high density, providing each unit with a high level of comfort, spatial and typological diversity. The building has been acknowledged as reaching a high quality standard with reasonable means and without architectural compromises, in the framework of a well balanced proportion of private, semi-private and public spaces. Two further projects received an honorable mention. One is the Social Housing for FLW by Olivier Forneau Architects in Dison/Belgium, a project featuring very high quality ans sensitiveness for the low density, almost rural environment where it is placed. These flats for large families bring a contemporary architectural contribution to the vernacular atmosphere of the village enriching its built environment, without raising unnecessary formal conflicts. The small scale of the intervention makes it even more interesting as a good practice of social housing policies, although probably not an answer for an increasing demand in large metropolitan agglomerations. 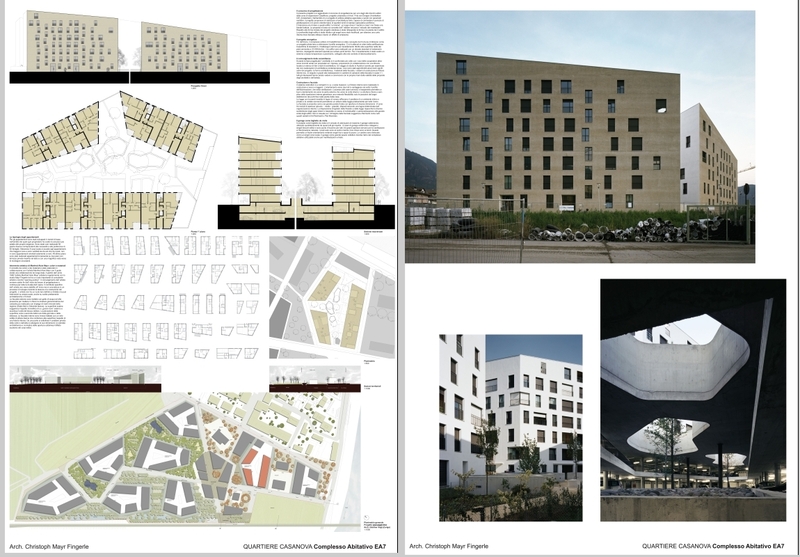 The Social Housing complex by MAB Marotta Basile Arquitectura (italian architects migrated to Barcelona from Sicily) in Via Gallaratese/Milan shows a great typological variety of flats, coherent design, differentiated treatment of the groundfloor and fruitful dialogue with the urban park. The project won the international Design competion Abitare Milano 1 from Sicily on the basis of a fine tuned building program. 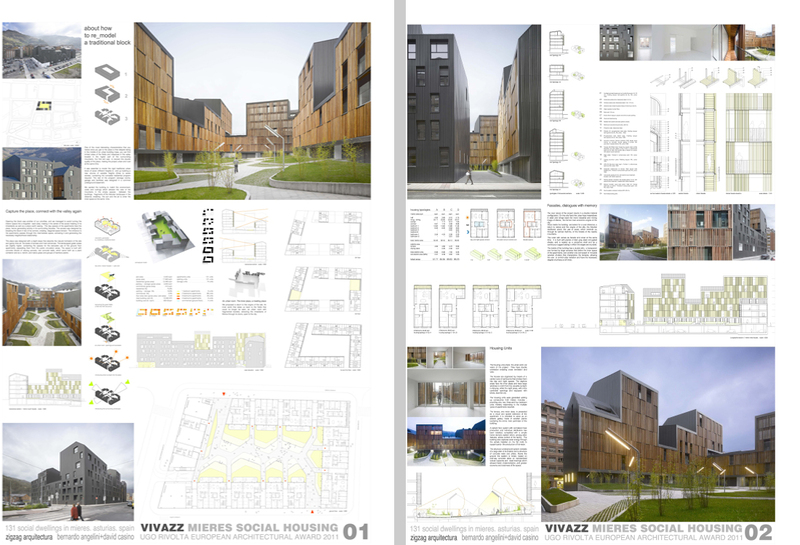 The complex was built following strict social housing schemes and costing, showing that high quality standards are possible also in the context of today’s scarcity of resources, thanks to 3 converging efforts: good building program, design competition and skilled architects. In addition to the three projects above two further projects were mentioned for their outstanding quality. Vivazz Social Housing complex in Mieres by ZigZag Arquitectura features an extraordinary consistency and expressiveness of design. The building features variety of floorplans, tricky elevations and surprising sections completed by a very elegant design and choice of materials. Some critics were raised about the residential use of the ground-floor and the relationship with the urban context was not clearly understandable from the plans. EA7 by Christoph Mayr Fingerle is part of a larger low energy quarter called CasaNova in Bolzano/Italy. The project is able to include innovative solutions in the quite rigid scheme of the masterplan transforming, for example, the underground parking in air and light floated space to access the building. It is worth noting that the whole selection of projects, and also some of the ones that were not selected, were high quality buildings. Their “exclusion” has to do with many factors like: being too expensive, not replicable solutions, not being well represented on the submitted boards or even not being submitted! That was the case by 5 projects that were selected for the second phase back ib June. The teams were alerted and confirmed they would send the final documentation to the Milan Architects’ Chamber, but at the end, for some reasons they didn’t. Being a substitute member I could seat and listen to the jury, but I had no say in the decision. 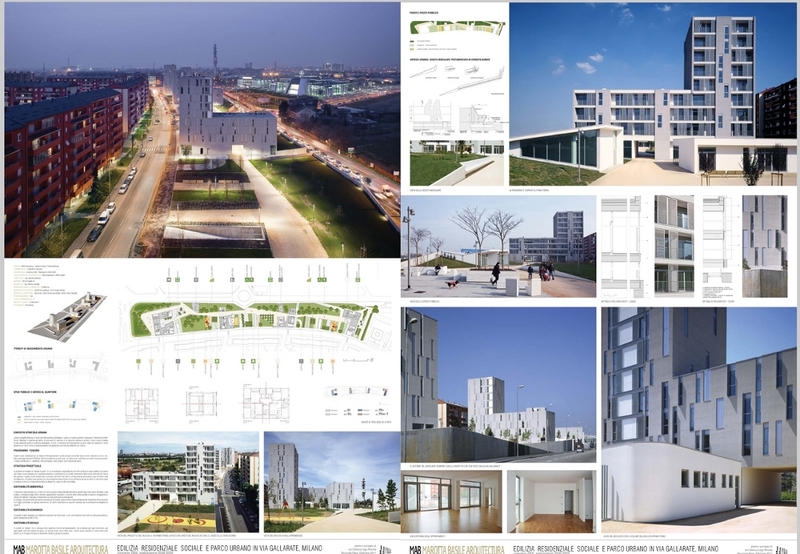 Otherwise I would have fought to give at least a mention Querkraft’s KSM social housing complex in Wien, a building I look forward visiting sooner or later. 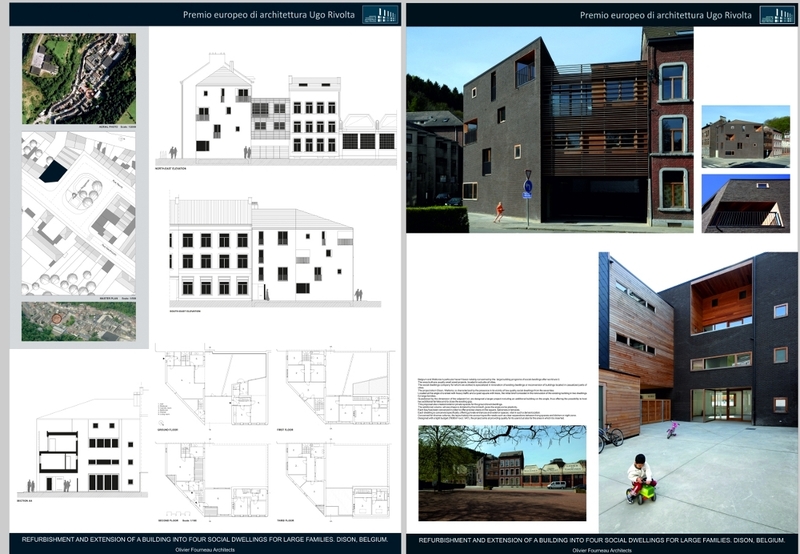 If you like to see the award notice and the winning projects of the 2009 edition of the Ugo Rivolta European Housing Award you can click here or in the official website of the Milan Architects’ Chamber. The list of the shortlisted projects is available here.